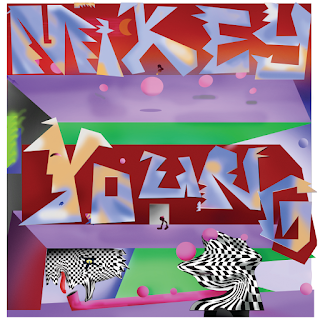 I don't think there is anything related to music that Mikey Young could do that would surprise me. Well, upon reflection, if some future performance, recording or mixing work was sub par, I would be surprised, but that isn't a surprise that is likely to happen. Whether it is his work as a musician with Eddy Current Suppression Ring, Ooga Boogas, and Total Control, among others, or his recording and mixing for numerous projects on several continents in recent years, Young has proved himself to be adventurous, talented and inspired. He is wedded to no specific genre, but rather seems to seek out challenges wherever he sees an opportunity. For Your Move Vol. 1, Young becomes an electronic producer, creating five spacious instrumental tracks that are upbeat, sunny and cinematic, with a solid core of pop smarts. Young is a Jedi master of aural seduction -- catching your ear and rubbing it where it produces the most pleasure. And if we weren't all consenting adults here, there could be some codes violated. But happily, we are adults and can sit back and enjoy one of the premier left-field standouts of the year. Your Move Vol. 1 is out now in digital, vinyl and cassette formats. It is the first of a series of synth pop albums by different artists that will be released by Moniker Records in the ensuing months. The unusual name has an interesting explanation. Each artist will make a move on a chess board when the artist's album is released. Then Moniker will make a move, followed by the next artist, and so on.